On June 20, I step aboard CroisiEurope’s Botticelli for a cruise from the heart of Paris to the heart of Honfleur. Not many river cruise vessels can make it into Honfleur. 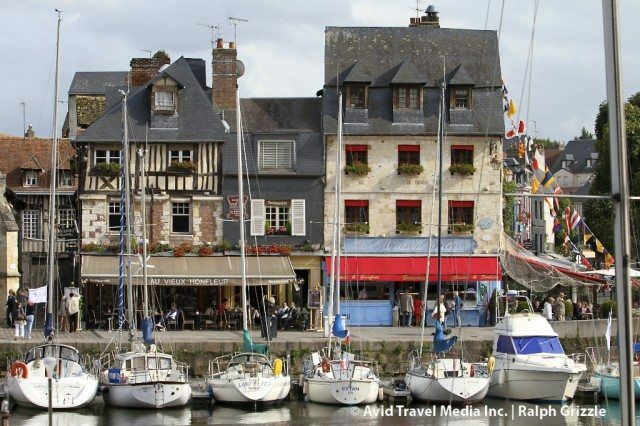 Most stop short in Rouen or they make it to Le Havre and bus guests to the picturesque port of Honfleur. The fact that CroisiEurope’s vessels get into to the hearts of the cities to which they sail is a key point of distinction for the Strasbourg-based, family owned river cruise operator. 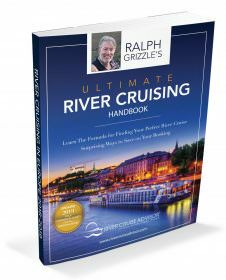 CroisiEurope tells me that their ships’ shallow drafts allow the vessels to dock closer to key attractions, such as the Eiffel Tower, than any other river cruise company. I’ll let you know about that on June 20. Botticelli will take us from the heart of Paris to the heart of Honfleur. CroisiEurope is relatively unknown in North America, but the company is making inroads. The price points certainly are appealing. My 8-day cruise starts at $1,488 per person on the company’s website. And yes, that is including wine and beer with onboard meals — and ALL drinks consumed at the bar, excluding champagne and some of the premium cocktails and special wines. WiFi is also offered free of charge on board. 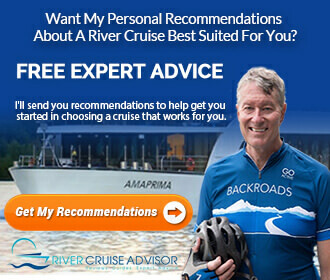 I’m looking forward to cruising on CroisiEurope and filing my daily impressions here on River Cruise Advisor. I hope you will follow along. Be sure to follow along in real time on Instagram and Twitter @avidcruiser, using the hashtag #livevoyagereport. You’ll find a listing of each daily report in the calendar below this post. Friday, June 20, 2014 Paris, France Boarding between 6 p.m. and 7 p.m. in Paris. Time to settle comfortably in your cabins before meeting the crew during a welcome cocktail reception. Dinner on board before departing on a cruise by night to tour the sights of the French capital. Saturday, June 21, 2014 Paris, France Breakfast on board. The day will be dedicated to the discovery of Paris. Morning optional guided tour of Paris, which will begin with famous landmarks as the Eiffel Tower, Notre Dame cathedral, the Arc de Triomphe and the Champs Elysées. Lunch on the ship followed by a free afternoon to stroll round Paris. Dinner and a free evening or go on to a cabaret (optional). Sunday, June 22. 2014 Vernon, France Buffet breakfast on board before cruising to reach Vernon around 12.30 p.m. Lunch on board. In the afternoon, take the opportunity to visit the Claude Monet Foundation in Giverny, a charming pink house with green shutters which has been patiently restored and reveals the painter’s daily life. As you wander round the house, visit Monet’s huge workshop, bathed in the light that he cherished so much, the blue living room, the yellow dining room and the famous garden full of flowers and finally the Japanese style water garden. Return to the ship for dinner before cruising off towards Caudebec-en-Caux. Monday, June 23. 2014 Caudebec-en-Caux, France Buffet breakfast on board while cruising along through magnificent scenery and steep cliffs at the foot of which nestle charming little villages. Lunch on board before arriving in Caudebec-en-Caux around 1 p.m. In the afternoon, leave on a guided tour (optional) to discover the abbeys trail beginning with the abbey of Saint-Wandrille, then on to Jumièges, and the ruins of one of the most beautiful abbeys in France, not forgetting the church of St Pierre, one of the finest examples of 10th century Norman architecture. Return to the ship for around 6 p.m. for dinner before sailing on towards Honfleur (subject to the tides). Tuesday, June 24, 2014 Honfleur, France After breakfast depart on an excursion (optional) to the “Côte Fleurie” (flowered coast) and the towns of Trouville and Deauville including a stop on the way to visit a Calvados distillery and tasting. Return to the ship for lunch. The afternoon will be spent on a guided visit of Honfleur (optional). Lying at the foot of the Côte de Grace, the town will enchant you with its old port, the church of St Catherine entirely made out of wood, its picturesque streets and outer harbour dotted with little fishing boats. 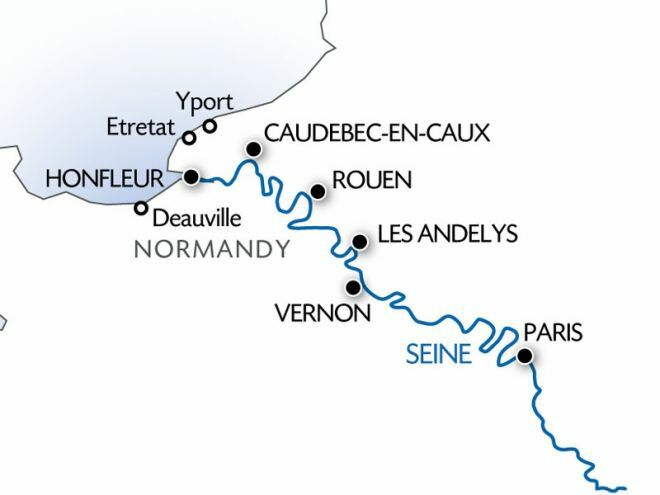 Or full day guided tour (lunch included) to the beaches of the Normandy landings (only as a pre-booked tour and a minimum of 30 participants). 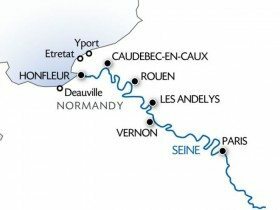 Departure by coach to reach Pointe du Hoc passing the towns of Omaha Beach, Coleville sur Mer and its American cemetery. We stop in Arromanches after lunch to watch the film “The Price of Liberty.” Return to the ship for dinner and a free evening. Wednesday, June 25, 2014 Rouen, France Early morning start and breakfast while cruising along a superb valley whose light variations inspired not only the impressionist painters but also many poets, before passing under the splendid Normandy Bridge. Lunch on board before arriving in Rouen around 2 p.m. Depart on a guided tour of the town (optional) to discover the cathedral, its historic quarters and the “Place du Vieux Marché” where Joan of Arc was burnt alive at the stake. Return to the ship for dinner and an entertaining evening. Thursday, June 26, 2014 Les Andelys, France After breakfast, cruise off toward les Andelys, through the lock in Amfreville, arriving around midday. Lunch on board. The afternoon will be spent visiting the Martainville castle (optional). Discover this rich house, the holiday home that belonged to a wealthy banker of the XVth century. Today it has become the museum of Norman arts and traditions. In the castle you will find a unique collection of objects made and used in Normandy between the XVth and the XIXth century. Return on board. Gala dinner and evening while cruising. Friday, June 27, 1014 Paris, France Breakfast on board before arriving in Paris around 8 a.m. before disembarking. End of our journey.